Islamabad: Pakistani Christian Asia Bibi will celebrate Christmas under guard, despite being cleared of the blasphemy charges that kept her in jail since 2010. Bibi — a former labourer who was on death row for eight years — remains a prime target in conservative Muslim-majority Pakistan, with extremists calling for her blood and the government refusing to reveal her location out of fear for her safety. "It's too dangerous... People want to kill her," said Yousaf Hadayat, a resident from one of Islamabad's impoverished Christian ghettos, littered this week by a smattering of Santa hats and Christmas trees. Security this Christmas, like many before it, will be tight with the government set to deploy armed forces to the Christian colonies. 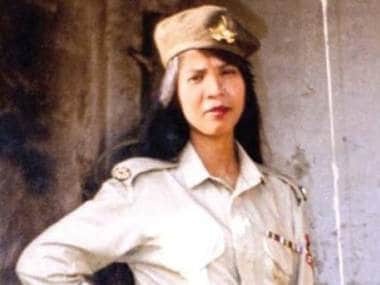 File image of Asia Bibi. Reuters. Residents say they feel more uneasy than ever during the religious holiday while Bibi's fate continues to loom large. "We're afraid," said Pastor Munawar Inayat at Holy of Holies Church in Islamabad. "We can't speak against anyone." The Supreme Court overturned Bibi's death sentence for blasphemy in October, and she has legally been a free woman ever since. But the ruling ignited days of violent demonstrations that paralysed large swathes of the country, with enraged Islamists calling for her beheading, mutiny within the powerful military and the assassination of the country's top judges. 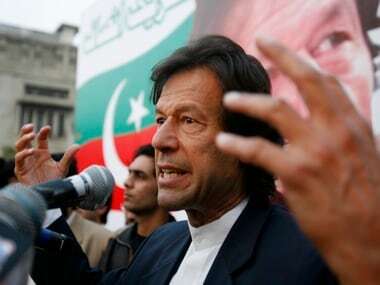 The government has since launched a crackdown on the Tehreek-e-Labaik Pakistan (TLP) party — the Islamist group driving the violent protests — charging its leaders with sedition and terrorism. But authorities also struck a deal with the protesters to end the violence, forming an agreement which included allowing a final review of the Supreme Court's judgement. Bibi, who is seeking asylum abroad, is believed to be in protective custody inside Pakistan as the review continues. But there is no clear timeline for when it will be completed. A government spokesman refused to comment on its status, saying only that the matter is with the court. Analyst Fasi Zaka warned that the longer Bibi remains in limbo, the greater the danger. 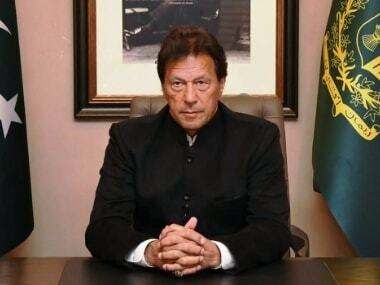 "For some elements if they don't have access to Asia Bibi they'll find stand-ins for their vengeance," he told AFP. Blasphemy continues to be a massively inflammatory issue in Muslim-majority Pakistan, where even unproven accusations of insulting Islam can spark lynchings. Many cases see Muslims accusing Muslims. But rights activists have warned that minorities -- particularly Christians -- are often caught in the crossfire, with blasphemy charges used to settle personal scores. "This is a lighting rod issue that affects a whole community," said Zaka. The allegations against Bibi date back to 2009, when a fight erupted between her and fellow Muslim labourers, who later accused Bibi of blasphemy. She was convicted under Pakistan's controversial anti-blasphemy laws and in 2010 sentenced to death. Since her acquittal speculation has been rife that an asylum deal with a European or North American country may be in the works. Many residents of the 100 Quarters Colony in Islamabad cautioned against Bibi's release, saying her safety would only be guaranteed once she was granted asylum in a foreign country. "No, no. 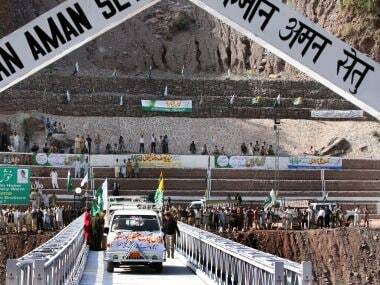 She cannot stay," said resident Hadayat. Polio campaign worker Shahnaz Arif argued against Bibi's ongoing custody. "We should get the same freedom that others enjoy," she said. Even so she admitted she was afraid, citing Pakistan's long history of political assassinations, including some over blasphemy. "There is not enough security for our leaders — we are just poor citizens," she explained. Christians — who make up around two percent of the population — occupy one of the lowest rungs in class-obsessed Pakistani society, largely living in slums and working menial jobs as street sweepers, cleaners and cooks. The tension comes as Washington added Pakistan this month to a blacklist of countries that it says wantonly violate religious freedom, citing the country's high number of blasphemy convictions and failure to hold perpetrators targeting religious minorities to account. Islamabad later dismissed the US move as politically motivated. Back in the 100 Quarters Colony, residents said their thoughts were with a mother who has already spent many Christmases in solitary confinement. "Christmas is celebrated with near and dear ones, and not in custody," said Christmas decoration seller Amjab Burgkat. "There are security fears, but she should celebrate Christmas with her family."